The PATH Foundation has awarded a $68,000 grant to Hero’s Bridge, a Fauquier based non-profit that specializes in meeting the needs of older veterans. The grant was awarded as a strategic initiative investment as it relates to the Foundation’s mission to strengthen the health and vitality of the community. Hero’s Bridge serves veterans in Fauquier, Rappahannock and Culpeper Counties. 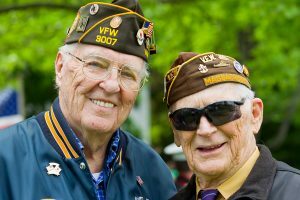 Please contact Hero’s Bridge at 540-993-6386 or mollybrooks@herosbridge.org if you know of a veteran in need or if you would like to learn more about volunteer and support opportunities. Note: A version of this entry first appeared in Piedmont Lifestyle Magazine.